Microsoft largely renowned for its operating system windows, its latest product the artist series mice which Microsoft has called, have just been released today. The notion behind this wireless mouse is simple to turn mouse style according to your frame of mind in an artistic way. Microsoft has released its high-class designs mouse, they are available at Microsoft store for just $30, these mice are wireless, so they are portable can carry them outside with you at any place to reflect your style. These mice are equipped with Blue Track technology which makes them more convenient to use at any place because blue track technology enables mouse to be used on any surface from wood table to room carpet. Microsoft artist mice have support for both famous computer operating systems windows and Mac. 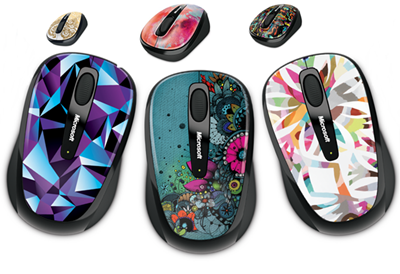 Let’s explore some features of Microsoft Artistic Mouse. You have about 11 choices of artwork to pick from, choose correct style that matches your personality. This technology enables you to use your mouse even on those spaces where is difficult to use, such as room carpet; it has the power of optical with improved and precise laser. Leave the Nano transceiver plugged in when you are on the drive, or put away it in the mouse. Great battery lifetime of 8 months; use your mouse for 8 months without the tension of battery change. 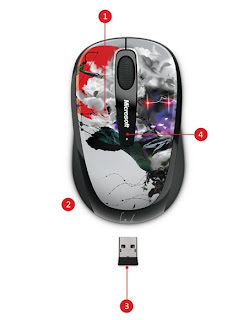 There is also a battery indicator on the mouse which lets you know when to change your battery or when its power is low, so better to substitute the battery. Has support for both major computer operating system giant’s windows and Mac. Visit the official website of Microsoftfor details and purchasing.